Josh and his ..girlfriend!!!. everybody nos this hottie haz a gf... but hes lucky cuz shes pretty and im jealous but i still cinta him! *starts crying...* ps. her name is shannon wada. 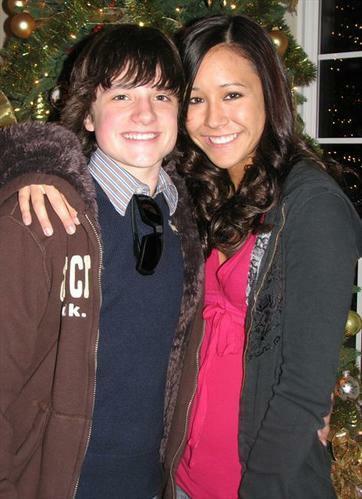 Wallpaper and background images in the josh hutcherson club tagged: josh pic movie shannon wada.